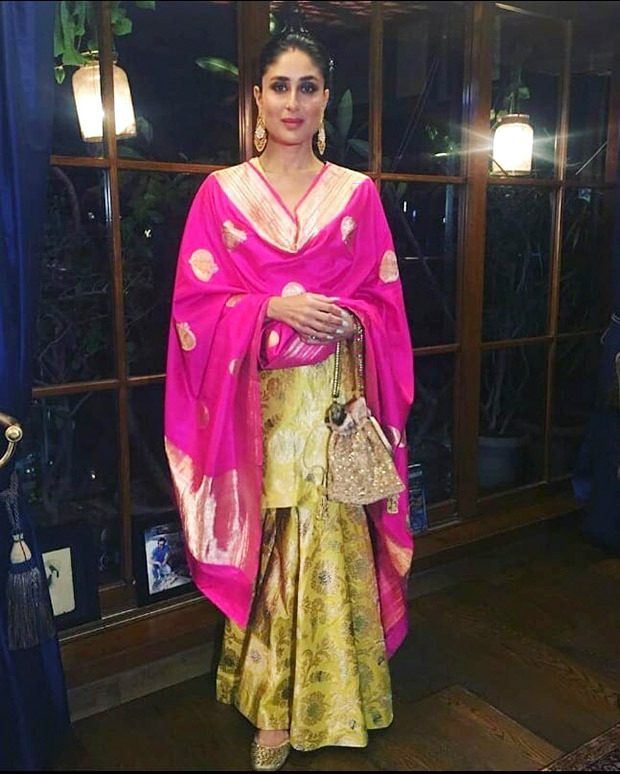 Kareena Kapoor Khan made an appearance at the Ambani residence for the extravagant Ganesh Chaturthi celebrations. 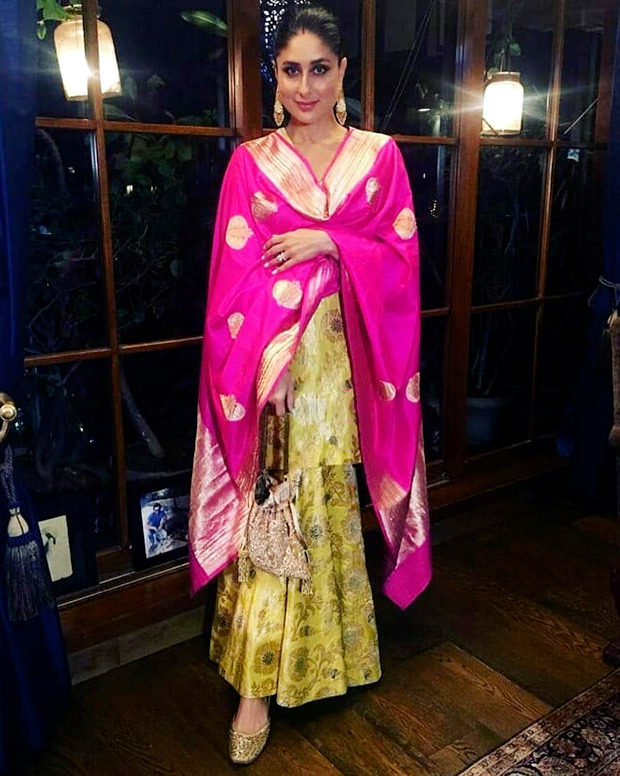 Looking every bit regal, royal and resplendent, Kareena owned a stunning creation by Sanjay Garg from his label, Raw Mango. 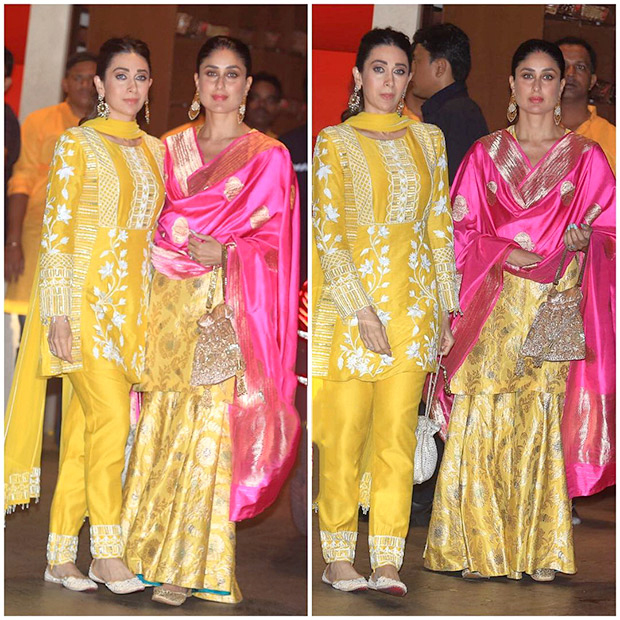 Styled by Tanya Ghavri, the silk ensemble featured a bold motif bearing yellow coloured kurta with a skirt and a bright pink dupatta. 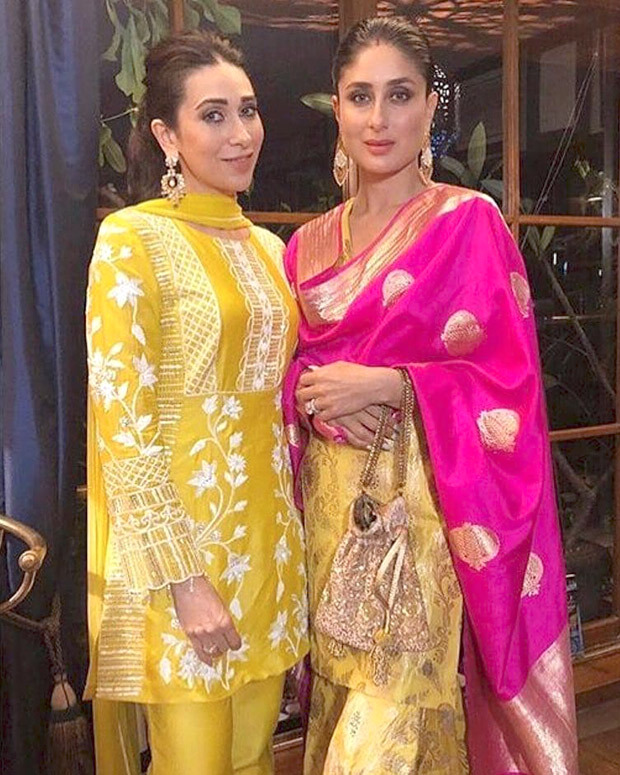 She upped the look further with earrings from Amrapali Jewels, juttis from Fizzy Goblet and a clutch from The Pink Potli. She rounded out the look with a faint line of sindoor, pulled back hair and minimal makeup.